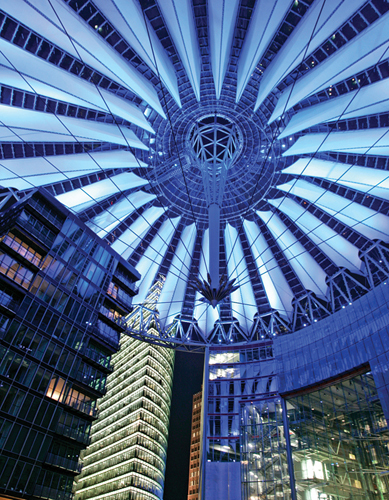 One of Berlin’s largest new structures is the spectacular Sony Center. 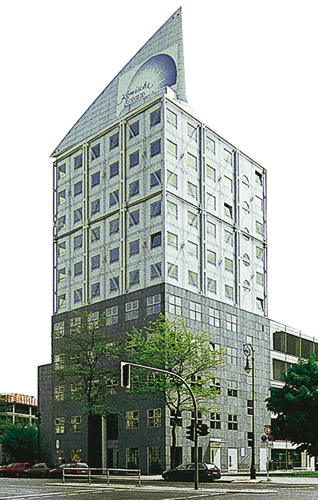 This impressive low building with its huge windows was built in 1965–8 according to plans by Mies van der Rohe. It was the first building to be designed by the pioneering Bauhaus architect after his emigration to the USA. He was able to make use of his earlier designs for the Havana headquarters of the Bacardi company, which had been abandoned after the Cuban Revolution . Berliners are not too fond of the Chancellor’s new offices, although this is the only new government building to have been designed by a Berlin architect. Axel Schultes developed a vast, elongated office complex, which extends north of the Reichstag, in a bend of the Spree, even stretching across the river. 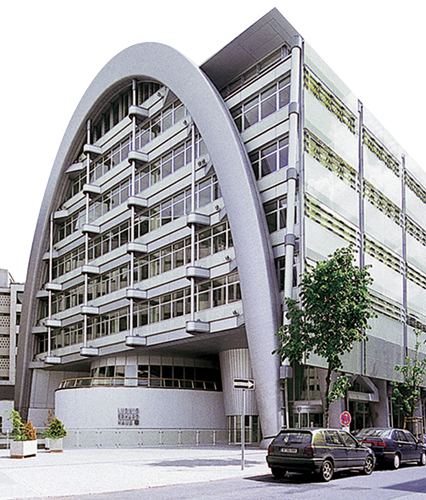 In the centre of the hyper-modern building stands a gleaming white cube with round windows, which Berliners quickly nicknamed “washing machine”. Critics describe the design as pompous, while civil servants dislike their small offices. The interior of the building is decorated with valuable modern paintings. The Chancellor’s office on the 7th floor has a view of the Reichstag. 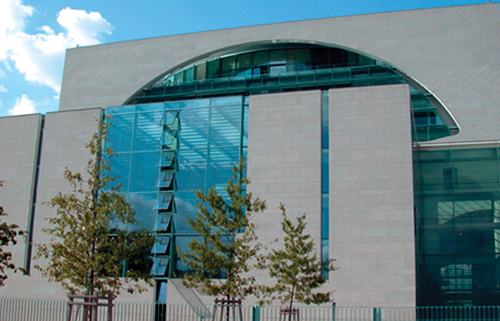 The seat of the Berlin Stock Exchange, Ludwig-Erhard-Haus was designed by the British architect Nicholas Grimshaw in 1994–8. Locals call it the “armadillo”, because the 15 giant metal arches of the domed building recall the giant animal’s armour. 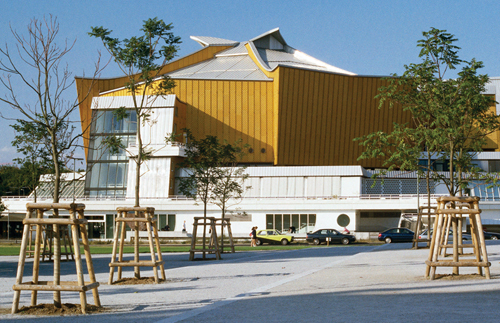 Two modern concert halls in the Kulturforum were designed by Hans Scharoun in 1961 and 1987 respectively – the Chamber Music Hall was completed according to Scharoun’s plans by his pupil Edgar Wisniewski. Both buildings are renowned for their excellent acoustics as well as for their tent-like roof structures . Europe’s largest train station sits on the site of the historic Lehrter Bahnhof. This impressive glass and steel structure doubles as a retail and hospitality hub. The Galeries Lafayettes and the Friedrichstadtpassagen are based within these three office blocks by architects Nouvel, Pei and Ungers . No other new embassy building has caused as much of a stir as the five embassies of the Scandinavian countries: the green shutters open and close depending on the amount of available light. 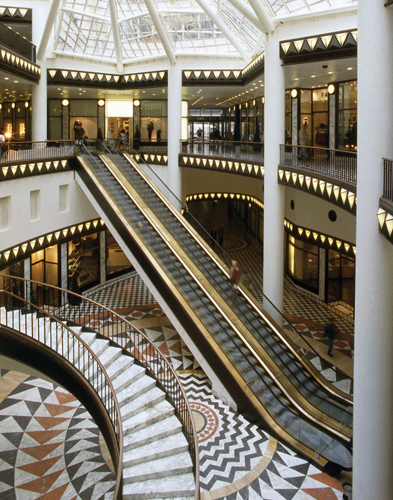 This elegant building by Frank Owen Gehry combines Prussian and modern architecture. The giant dome inside is particularly remarkable . 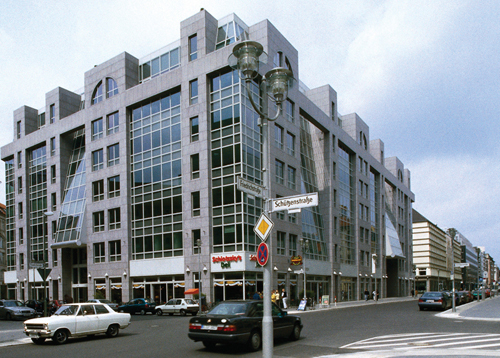 The aluminium sail on top the KapHag-Group’s headquarters, built by Josef Paul Kleihues in 1992–5, has become a symbol of the new Berlin. Originally, the structure was to be built one-third higher than it is now, but the plans were vetoed by the Berlin Senate.